Last year was all about mint green. 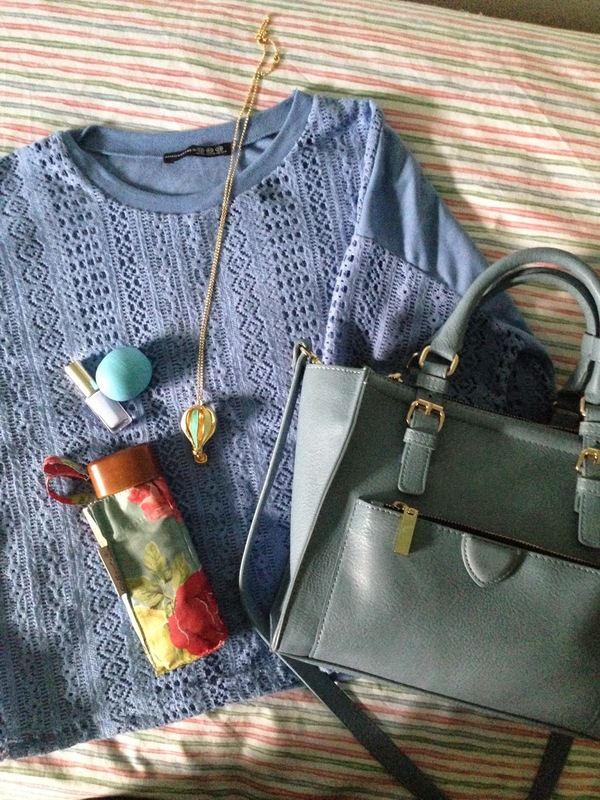 This spring I am obsessed with everything pastel blue. 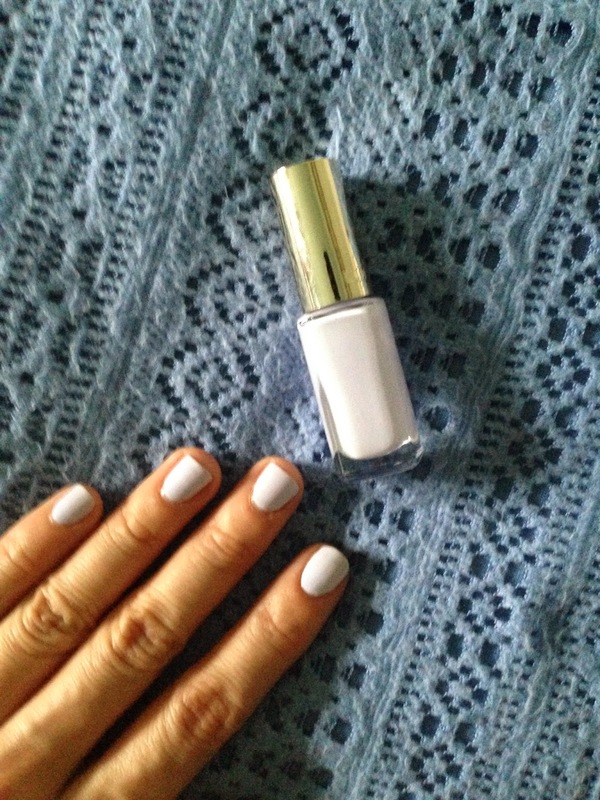 I am constantly wearing LOreal Perfection Color Riche Nails in Nouvelle Vogue 851. 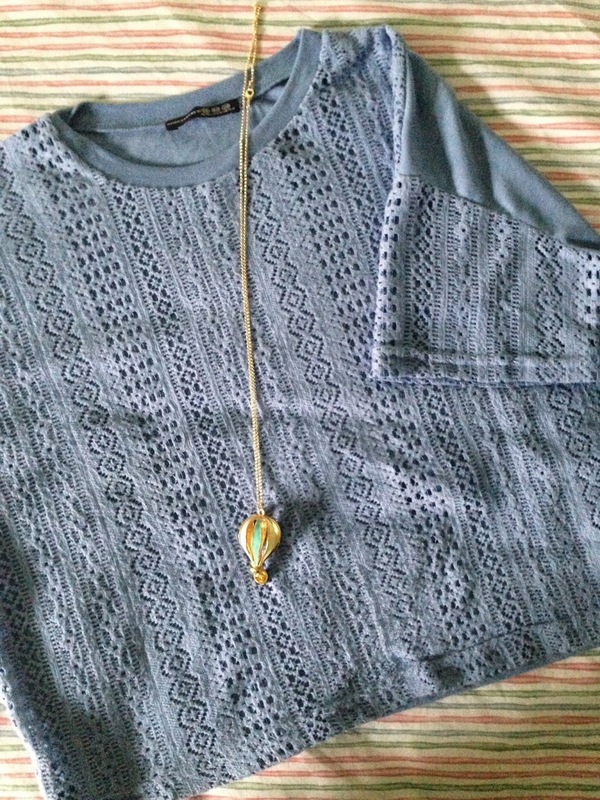 It is a pastel bluish lavender. The off white colour is unique. It looks particularly good with my short nails & "beautifies" my hands. Nothing feels right at the moment except this colour. 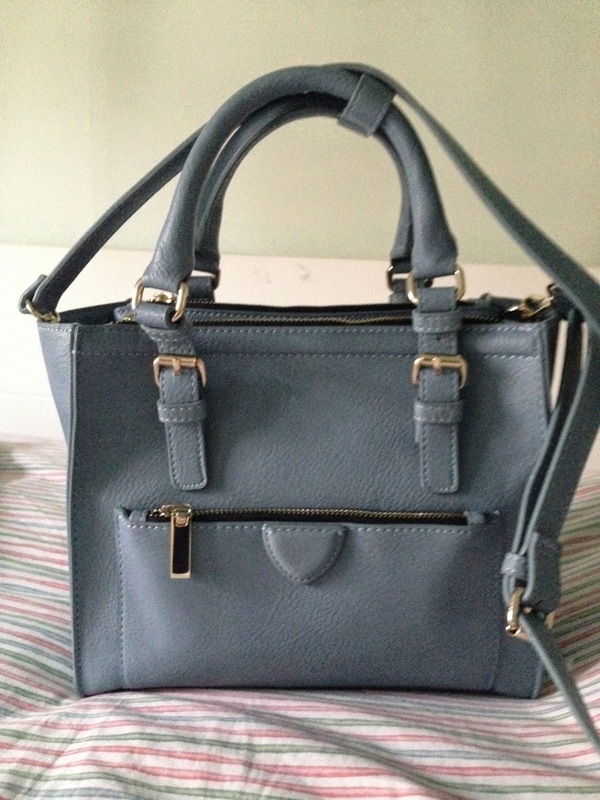 I bought this Zara Mini City Bag with Zip Details after reading Alix's post! The pastel blue colour has really caught my eye. The colour is subtle enough as a work bag but it adds a touch of Spring to your outfit. 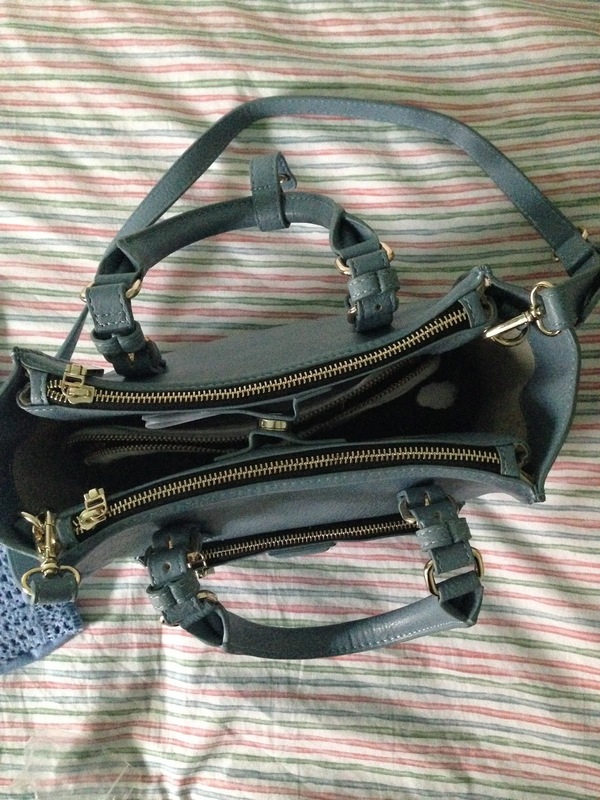 The layout of this bag is very similar to the famous Prada double-zipped Tote. It has two zipped compartment on either side for wallet & valuables. The main section in the middle is closed by a magnetic popper. It's a small bag but can fit in a lot! My best find is this lace patterned top from Primark, it's only £5! A great casual top for the weekend! 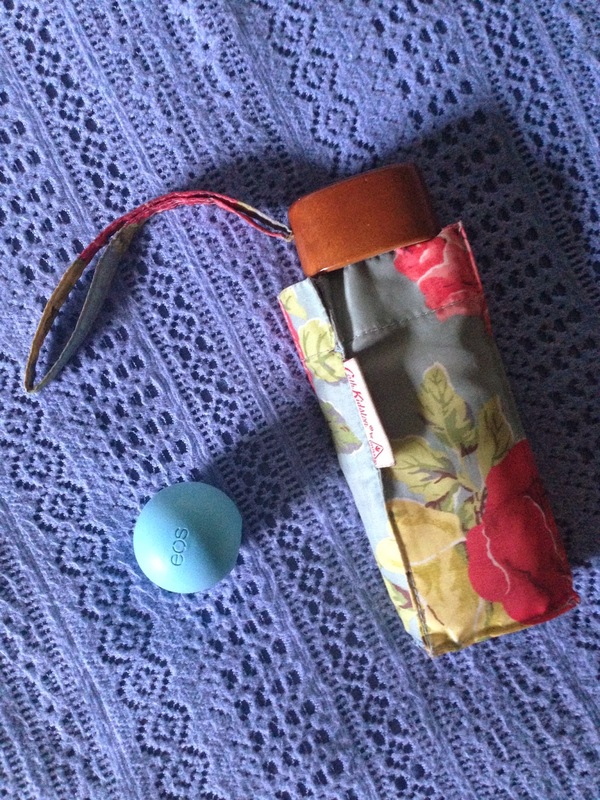 Other pastel blue themed stuff I carry with me are my EOS Blueberry & Acai Lip Balm and my favourite floral printed brolly from Cath kidston, which fits perfectly in my Zara bag! April showers in London, you'll never know! What colour theme are you into this Spring?